Another year and another successful ‘Safer School Group’ meeting at St Peter’s CE Primary School. For many years, Miss Russell, school governors and staff have ensured that security/ safety is a priority and it is demonstrated through the school’s solid involvement in the ‘Safer Schools’ initiative. The ‘Safer Schools’ initiative includes reviewing any incidents/issues at a school, ensuring essential security/safety measures are active and finally, considering any potential improvements. 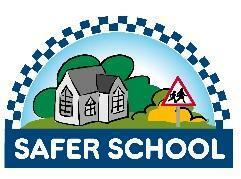 Another important aspect of Safer Schools includes involving pupils and parents/carers. St Peter’s CE Primary achieves this involvement through surveys, Safer School Group involvement and newsletter items/feedback. Looking to the future at St Peter’s, an annual Safer School Group meeting is scheduled for 2019 and West Mercia Police attend these meetings whenever possible. Overall, excellent work!